Level 1: + 2 to White Lotus Fist damage, +2 to Maintain Balance, Critical on a Natural 20. Level 2: +1 to Strike, +1 to Damage, Death Blow on Natural 20. 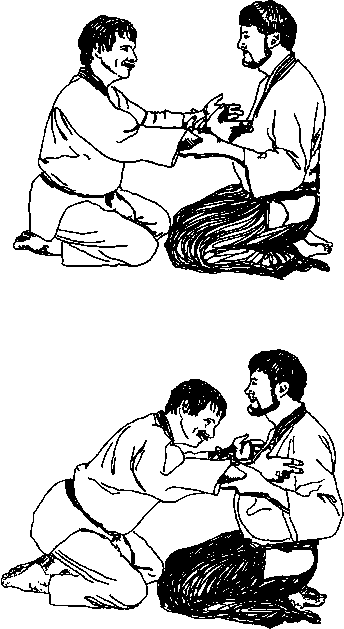 Level 3: Select one Body Hardening or Special Kata. Level 5: +1 to Parry/Dodge. Level 8: Select one Body Hardening or Special Kata. Level 9: +2 to White Lotus Fist damage. Level 10: +1 to Parry/Dodge, +1 to Strike. Level 11: +1 Attack. Level 12: Select one Body Hardening, Chi Mastery, or Special Kata Level 13: +1 Attack, +2 to White Lotus Fist damage. Level 14: Double Chi, Death Blow on a 19 or 20. Level 15: Select one Zenjorike.